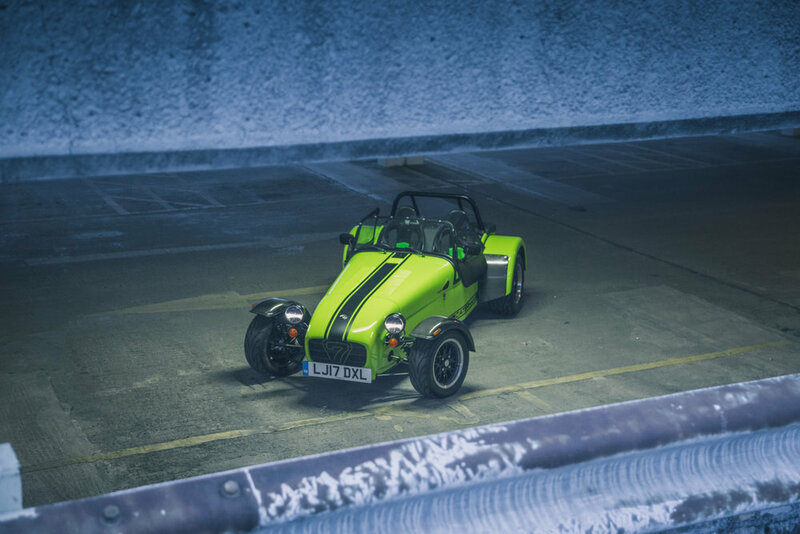 Here are a few shots from my latest shoot with the Caterham 420R. The weather could have been better but this was such a fun little car that was all the more exciting in the wet! So I was recently very fortunate to take the incredible Tesla P90D to the Scottish Highlands are rather than focusing just on stills (ignore the pun!) I shot a little video. More on the car itself in a future blog post but here is the results of my efforts. Don't forget to hit 'subscribe' while you are there for more videos in the future. Maybe it’s my age but I do like a big wagon. So when I had the chance to shoot the big Volvo V60 Polestar, I was rather excited. History is littered with big Volvo’s that excite the boy-racer in all of us. However, that little blue ‘Polestar’ badge reassures you that this is something special. Only a 125 of the V60 Polestar have been made so this thing is rare, which helps justify the £50k price tag. The other thing that helps justify it is the big lump under the bonnet that ensures this thing lives up to it’s predecessors. From the outside, apart from clean modern styling, there is very little to give away what lies beneath. Sporty wheels, that blue Polestar badge and cavernous twin pipes at the back are all that give you a hint of what this thing can do. The absolute icing on the cake for this big sleeper though was the noise, an incredible burble followed by a roar as you open it up. It really was the highlight for me and something I will miss. As for the shoot itself, I absolutely love the styling of this car so I knew that I would get some decent images. I wanted to find some gritty, urban locations to juxtapose with the crisp clean lines of the car. First stop, a siding by a motorway with a lot of lovely concrete as a back drop. Photography is all about the light and we were treated to a pretty awesome sunset, next stop was on top of a local car park. It can be difficult to find quiet places to shoot cars were you are generally undisturbed and you can have the space to yourself. Car parks are ideal, although not always the prettiest, but with the right light and a bit of imagination they can look great. Final stop was a bit of a secret location and a spot that I’d never shot in before. It made for a good long exposure shot with the red of the brake lights really topping the image off. All together, this was a great shoot with an amazing car. Days like this are why I love photographing cars. MG Cars was once regarded as one of Britain’s great, although admittedly, it was competing mostly with national manufacturers, and manufacturing qualities were dubious, which, mind you, was actually a universal trait shared amongst quite literally all of British Leyland. Remember the MGB? 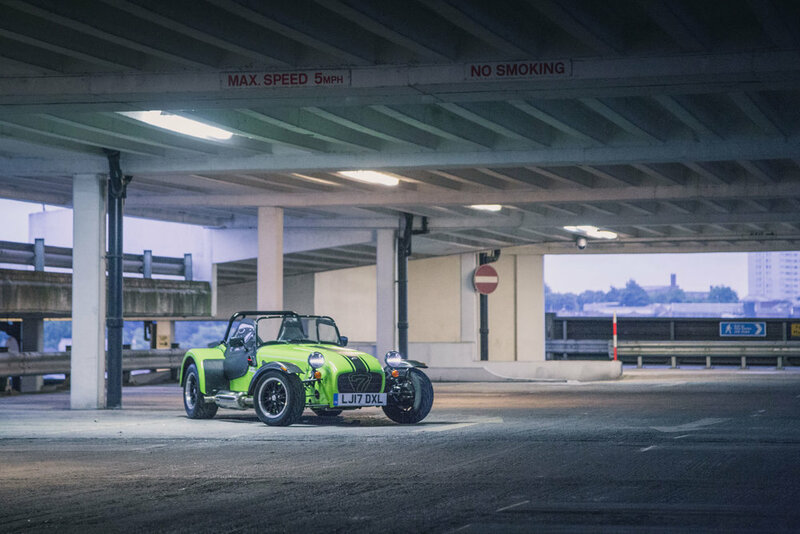 It was a lightweight coupe, some had a retractable top as well, that was MG’s entry into the classic lightweight sportscar formula, the one that the Brits are good at. But people weren’t satisfied with it, they wanted more speed, or MG just decided that a V8 is the à la carte to the straight-4s that powered the little car for years. I mean, when the MGC came out with the straight-6, things improved, but when they went with Rover’s aluminium V8 that, mind you, while making more power and torque, was 40 pounds less than the straight-4s back then, things were just better. But as time moved on, the company met the same fact as most other British manufacturers, and went bankrupt. Now, reincarnated, times have changed, the masses are no longer yearning for cheap sports cars, the modern MG, to survive, needs a cheap little hatchback that can sell and appeal to the crowd. Cue the MG3, a supermini with style. Paul hooked me up with oneto shoot. When first confronted with the car, I was actually impressed. Sure, I know it is an affordable car, and expectations were set accordingly, but this is one supermini I wouldn’t mind being seen in, it is one handsome little car. One thing for sure, if you were to ask someone that didn’t know about MG, they wouldn’t figure that this is a sub £10,000 car. From the front, the car looks unreasonably tidy, in fact, I really like the car from the front. It reminds me a bit of the Renault Clio. In its segment, if you wanted a stylish car, you really can do much worse. Its competition, such as the Dacia Sandero and Volkswagen Up has a lot to step up to if they want to stand a chance. The car is very well proportioned, everything feels planned and measured before being decided. It’s not forcefully feeding ‘cuteness’ or the typical ‘angry puppy’ look to the customers. Our MG3 was the top of the line version, with all the bells and whistles, and a lovely shade of grey they codename ‘Lady Grey’. In fact, with this colour, photographing the MG3 is ‘easier’, per se, just because the car works from almost any angle you look at it from. One thing is, before photographing a car, you need to actually learn about the car and acknowledge the purpose of the car. For the MG3, a supermini that is built to travel around a city, urban landscape fitted it like a glove. In fact, shooting the car in the streets feel so natural. All the concrete buildings, marbles, large panes of glasses even made the shots better. It almost felt like it’s not a photoshoot, more coming out in a day for a casual shoot. Sometimes, photographing simple cars like these instead of the extravagant exotics can be quite relaxing and rewarding. Moving onto the interior, it’s actually a nice change of pace from the usual cheapos we find. The usual conscience of compacts created for your daily hauls is that the interiors are always grim, dull and very full of grey plastic. To be honest, the MG3 is no different, it’s an affordable car! But MG has tried hard to keep it fresh. The sporty credentials of MG bring in the red accents all over the inside, and it certainly spice things up. One thing I like about the interior is the vinyl on the seats. Of course, MG can’t go berserk, but all those small little touches make the MG3 shine out of all the competitors. I think, if you can overlook the quite rare MG badge, and you want an affordable supermini that you won’t mind being seen in, the MG3 is hard to beat, it’s full of little details for good eyes, and let’s be honest, who doesn’t want to see MG back in business again? One may not know, but Peugeot is actually one of the most successful rally players, right beside Citroen, with 5 World Rally Championship Manufacturers' titles, 4 times Dakar Rally wins, 3 times European Rally Championship and 3 times Intercontinental Rally Challenge winner under the belt. That’s an impressive track record for anyone, and just because they’re a French manufacturer, people don’t quite give them the recognition they deserve, they even enjoy decent success in other motorsports as well. Although they obviously have enjoyed success in the motorsport world, it’s a pretty different story in the real world. They’ve been making mediocre cars for the past 15 or so years. So when Paul talked about photographing the new Peugeot 308 GTi, I wasn’t exactly enthusiastic. I read up on the car and, to my surprise, Clarkson has reviewed the car, and he was positive about it, so my hopes were up and spirits were high. The 308 GTi features a very rally-inspired engine. 1.6 litres is all you get, but it features a turbo, and that, believe it or not, pushes the output to 250 hp. It sounds like a rally car, it goes like a rally car, but it looks just like a normal family crossover. This car just screams rally out of every single one of its cells. It looks bold, but I wouldn’t say it is a pretty car, so motion was the main thing for the photos and, being a crossover, urban landscape fits the car well. Being in the car, it feels absolutely peppy, especially for a car that tricks your mind so well, with its above average ground clearance and practicality. With its sharp lines and red accents, aggressive angles worked for it. Moreover, the colour combination pops when you put the 308 GTi into dull places. If you look carefully, you will also notice that the Peugeot logo is written in red. In dim and grey places, the red accents further emphasize the large gaping grille of the car. It subtly tells you that the car is a big performer under the hood. The other thing that I really like about the 308 GTi is the really quite unique wheels. The spokes have those small crevasses that stands out from all the other wheels. I’ve never personally seen this kind of design in aftermarket wheels before, much less in factory specs; points for Peugeot here. The rear lights also lead your eyes nicely to the bodylines running down the side profile of the 308 GTi. Overall, I think the car looks aggressive, but not so much that it becomes obnoxious, which is something that many car manufacturers fail to achieve. The rear of the car tells very little as well, bar the GTi badge, which some may even choose to remove. Open the doors though, and it’s a completely different story. I mean, from the outside, the tell-tale signs that this is a special 308 is not obvious, but on the inside, almost everything tells you that you are in a crossover with ambitions. From the nice bulky steering wheel with GTi embedded on the bottom, to the rather quirky tachometer that sweeps from the right to the left. All these are details I wanted to capture, to truly bring out the sporty nature that is dressed so well under practical clothing. Even if you were to be oblivious to the tell-tale signs, the alcantara bucket seats with ‘Peugeot Sport’ written on it should tell you what this car wants to do. Even the door sills have a piece of aluminium on it sporting the Peugeot Sport GTi badge. The interior is a lovely place to be, without many buttons the driver can be focused on the road, just as one should be in the 308 GTi. Overall, I am glad for Peugeot. Why? Because they’ve created something like a gem that lies within the dozens and dozens of hot hatchbacks, sporty sedans, etc. It’s a car that I actually want to photograph, with good little details that will train your photographer’s eye to capture. In fact, I see a little bit of the 205 GTi encapsulated in the 308 GTi here. And that can never be a bad thing, can it? Jaguar is one of those brands that is just irresistible, no matter how disappointing and how shoddily they are built. For example, the classic grandfather clock, the XJS, it was built with rather questionable quality standard, but still, it possessed that Jaguar charm that can't quite be matched. They were a bit shaky afterwards, but now they're back proper, with the F-Type and new X-Types, which look sensational, clearly displaying that they've stepped up their quality, design and powertrain. So you can only imagine how I felt when a call was given to me to shoot a Jaguar XE. For those that are unaware, the XE is Jaguar's 'baby saloon'. It's their entry to the premium compact saloon market, whilst also maintaining Jaguar's sporty credentials. This Jaguar XE is made for those businessmen who want to separate themselves from the typical compact executives from BMWs, Mercedes, and Audis. Furthermore, I think that the latest Jaguar XE is absolutely ice-cool, especially if you opt for the top of the range version which has a supercharged-V6 that many concluded to be one of the best sounding V6 in the world right now, and it pops and crackles like no other. However, if 'Jaguar' and 'V6' doesn't entice you enough, Jaguar Special Operations Division is planning a supercharged-V8 variant that puts out 500bhp, specially designed to compete with the likes of the Audi RS4, BMW M3/M4, and C63 AMG. Even though we got the SE trim, which is the bottom-range car with a 2.0-litre turbocharged diesel, there's still something to be excited about in a diesel Jaguar, and that is the looks. Even in the base trim, the XE just looks handsome. It's muscular and it follows the Jaguar design language, in the sense that it looks like it's up to no good. Good examples are the Jaguar XF and F-Type, it gives you the chill even if you just look in their direction. To put it simply, Jaguars must have charisma, and the XE has it in spades, with its massive gaping front grille with large vents, exaggerated aero parts and aggressive headlamp design. But, at the same time, that actually puts me, as a photographer, in a tougher spot. You see, a car with strong personalities narrows down the room for error in putting a car to its respective context. A good example for a photo that doesn't quite make sense is a Lamborghini Sesto Elemento flying in gravel. It sure does provide the shock factor, but a Sesto Elemento, a purpose-built track car, rallying is just wrong contextually. The job for me then, is to identify a solid and convincing background for the Jaguar XE. A desolate background then, was a good choice. A background with little to no distractions, a background that seemingly puts the Jag' in its own habitat. The cloudy day further emphasized the Jaguar as well, not many cars can look properly at home in the rain, but the XE just happens to be one of them. The rain complimented the XE perfectly, the overall moody light aided in shooting the XE as well. After the exhilarating exterior, it's time to move onto the less exciting interior. To most people, they would actually prefer that. One thing that sporty cars usually ignore is comfort, however, the Jaguar actually feels like a nice place to be. 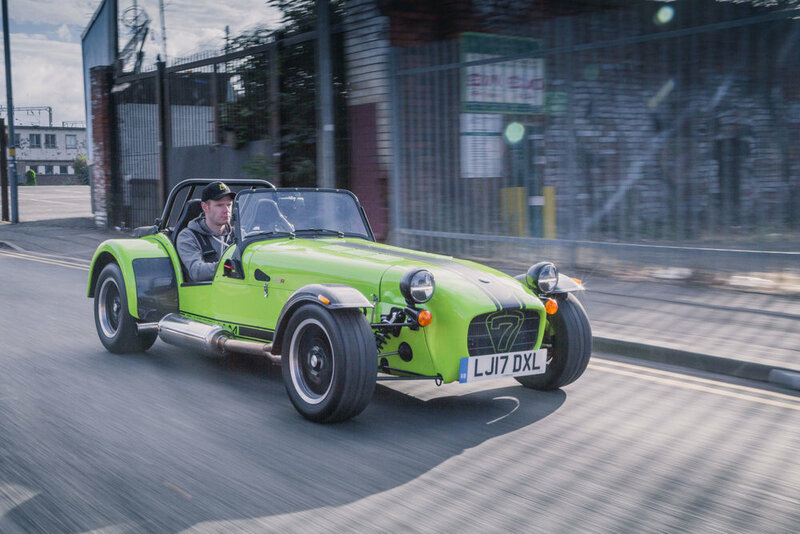 Something that majority of the buyers will appreciate, the last thing you will want in a car made for long-distance travelling are racing bucket seats and stripped out interior after all. One thing that not many people will expect, however, is the 6-speed shifter in our variant. It's uncommon nowadays, and more so in an executive Jaguar. Our variant had the lighting pack as well, it provided a nice ambient light in the cabin when it was dark out. The beefy 3-spoke steering wheel has buttons for pretty much everything and the instrument cluster is simple and focused. The interior just works, elegantly. Thus I kept the interior shots simplistic and it yielded good results. Shooting with the XE, I must say, is a pleasure. It looks good from so many angles, in fact, you have to be intentional to take a bad photo of the Jaguar XE. Looks wise, Jaguar has done well on the XE, and getting a good set of photos of the car is an achievement that all automotive photographers can certainly relate to. Finding your Passion: An Alfa in Wet & Windy Wales! We all have those contacts in our phone that when they call, you choose to ignore. Paul is not one of those! He generally has something fun for me to shoot and when he said ‘How do you fancy shooting an Alfa Romeo in Wales?’ I was certainly glad I answered! The brief set by Alfa was to tie in to their #FindYourPassion campaign and with an Alfa Romeo Giulietta Sprint Speciale and a back drop of the Black Mountains, this was not going to be a difficult task. We had very little time to plan so we chose our destination, booked hotel rooms and headed out late on Friday evening. My main passion in life is Photography and I am happy to photograph anything. However, I am a ‘car guy’ and even the words Alfa Romeo get me excited. When I first saw the Giulietta, apart from being blown away by the incredible paintwork, the sporty looks made you want to get in and see what it could do! Before we had even hit the motorway, Paul and I were enthusing about the feisty little Italian. The next morning, unconcerned by the 6.30am start or the grey clouds and rain, we sprinted back to our chosen road and began a long day of shooting. With stunning locations like these, you would think it is easy to get beautiful shots. However, many people forget that it often involves a long hike with heavy gear up a soaking wet mountain surrounded by, well let’s call then ‘Sheep berries’ to be polite. When you are greeted with views like these though, it all becomes worth it! We worked to a shot list which was hastily put together by me the night before. The truth is, you never quite know what a new location will give you and the weather certainly wasn’t the best, so we had to be flexible in our approach. The grey skies and the black mountains certainly made for dramatic scenes and the Alfa stood out gloriously against the rugged terrain. ‘Panning shots’ aplenty seemed like the order of the day to show the thrill of driving a sporty car in a stunning spot. When Paul said ‘we need to show passion’ apart from a cold sweat forming on my back, my first thoughts were that the shots need to be filled with action and with only one car available, I said typical car-to-car shots were out the window! Which then made me think, well what if I hung out of the window? The scene of a ‘larger’ man hanging out of the side of a small Italian hatchback with thousands of pounds of camera strapped to his arm whilst making repeated hairpin passes seemed to bemuse the local cyclists – who were probably more crazy than we were, cycling up a mountain in freezing temperatures has to be the definition of passion! After grabbing all of the standard static shots that we needed, we decided to head home. However, dragging ourselves away from this car in this location proved to be a challenge. I was recently asked ‘is it hard what you do?’ to which I answered with a resounding ‘Yes!’ There is no doubt that the early starts, the physical commitments and the mental challenge all take their toll. However, all the energy drinks and motivational speeches in the world can’t drag you up the side of a wet and windy Welsh mountain without one thing... Passion. To find out more about Alfa Romeo’s #FindYourPassion campaign and to be in with a chance to win passion-based prizes, visit www.alfaromeo.co.uk/find-your-passion or visit their Facebook page. A lot of effort goes into planning a shoot but you rarely get to see how it 'actually' feels on a shoot. Despite deadlines, wanting to get the best results and remembering to charge you batteries, shoots can be quite fun environments. Here is a cheeky 'BTS' video made by Dan, one of our very talented Videographers. Apologies in advance for my shockingly 'Brummy' accent. Well, it's been a chilly start to 2016 so I thought I would warm things up with a little 'wire wool' photography. More on the actual car soon but it was fun to get out and do a bit of long exposure photography. It reminds me very much of a shoot I did many years ago with the Citroen C1 but the big, hulking Shogun seemed to lend itself well to the dramatic scene. More coming soon. The build up to Christmas is a busy time for everyone and unfortunately, I did not get time to post this before the 'big day'. I hope that you all had a fantastic Christmas. I have certainly enjoyed a few days off. However, the hard work starts again now and I can't wait for 2016! There will be a few big changes on the way but more on that soon. I hope you all have a fantastic New Year. For me, Maserati is one of those brands that just screams quality. When I found out I would be shooting a Ghibli S, I couldn't wait to see if the 'entry level' Maserati would live up to my expectations. I am pleased to say, it did! The quality of the car was fantastic and the looks, well you can see for yourself, they are amazing! The photo-shoot went like a dream as well. The weather was fantastic as we made the most of an early start and captured a dramatic sunrise. The best part of it all though? The exhaust note! This thing sounds incredible! Whilst I should have been busy concentrating on 'panning shots' I couldn't help but get drawn in by the sound of this thing. The phrase 'one more run' was repeated quite a lot! Good job Maserati. I invite a few people along to a group shoot to show how I go about shooting a car. A mix of experienced photographers and amateurs seemed suitably impressed with the Rolls Royce Phantom DHC. Here is a little sneaky peak at the kind of editing I do. Of course, it all helps to start off with great light, but you can see how I've adjusted colours and cleaned up the car. 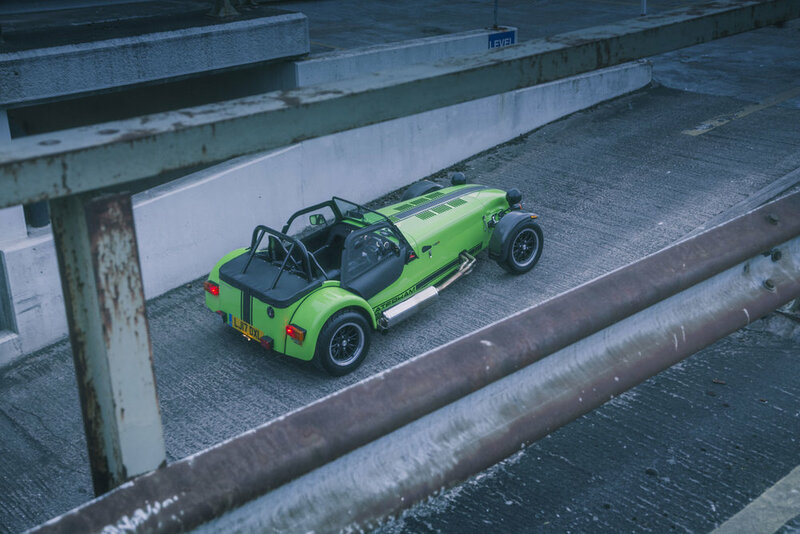 Car Culture UK teamed with a local charity to hold a tunnel run through the centre of Birmingham playing host to some very nice modded machines. The event raised over £700 very very ill child and ended in an underground car park in the City Centre with revving, burn outs and exhaust fumes all (literally) filling the space! Here are some of my personal highlights - see my Facebook Page for the full album. Being a Motoring Photographer - Close to the Action! I recently attended the Performance Car Show Live 2015 at the NEC in Birmingham. Take a look at the full gallery of pictures I got from the day. The ‘Live Action Arena‘ is set in one of the vast halls that make up the National Exhibition Centre, with a large spectator stand along the length of the hall holding some 1500 people. Needless to say, if you want the best ‘action’ shots you don’t sit in the spectator stand, you have to get a bit closer, and if I was any closer I’d be sat in a passenger seat! When I arrived, I had the obligatory ‘if anything bad happens, you’re on your own!’ speech from one of the marshals who then led me to my track side position. All that I had to protect me from speeding motors was a concrete barrier about a foot thick and a foot and half high, just enough to crouch behind leaving your very expensive camera gear and soft, vulnerable head open to attack from flying bits of tyre, dirt and whatever falls off the cars! I crouched precariously behind the barrier, trying not to get in the spectators way whilst allowing myself enough room to move to get the shots. With the ever-changing lighting in the arena, I would have no hope of changing settings quick enough to capture the action, so I slipped the camera into ‘auto’ whilst I concentrated on self preservation. It’s no exaggeration that being this close to cars flying past at 60-70mph+, if anything goes wrong and it leaps a barrier, you’re very dead! Though, surprisingly, that wasn’t my biggest fear, what scared me the most was the much higher probability of a piece of metal, wheel or wing coming off one of the cars and finding a direct route to my head (or my camera, us photographers are very protective about these things!). The biggest problem you face as a photographer covering any event is that you must get the shot, at all costs! Calling the editor and saying ‘I’m a little bit scared’ is not an option! Even though there was a strong possibility of a trouser accident, I set about leaning over the wall to get some shots and was greeted with a large face-full of flying tyre debris and a potent mix of tyre smoke & exhaust fumes. I can’t lie though, it is exciting, but you do start to realise how vulnerable you are when an out of control Petter Solberg starts throwing his WRC car at the barriers in a bid to impress the crowds. After knackering the clutch and stalling a few times, the crazy Norwegian went all out to impress the fans and clattered the barrier opposite me and then headed straight at me! ‘Where are the pictures?’ I hear you ask, by this point I’d already taken cover, a world rally car in the face would make a great picture but my hair didn’t look great this day so I thought I’d give it a miss and hid! There was plenty of opportunity to capture the action from a safe distance. 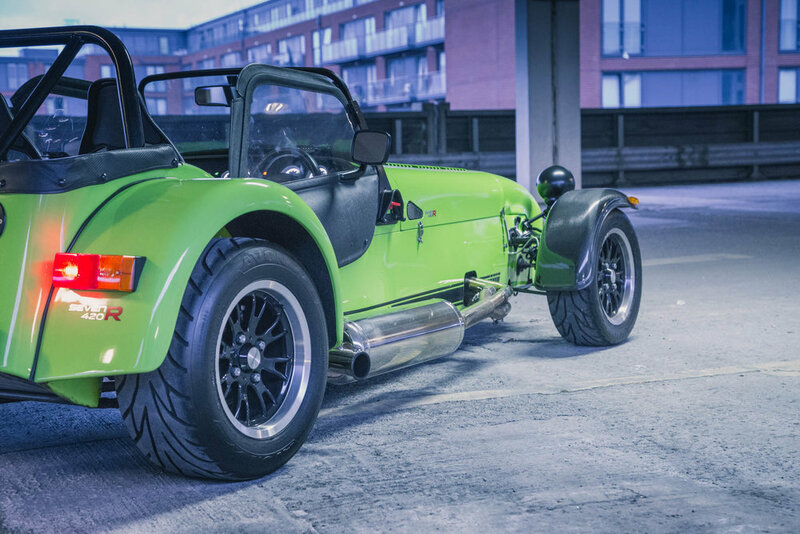 With a great selection of cars, buggies, supercars, stock-cars, motor-cross bikes, a monster truck and even racing taxis, there was enough to shoot! I love being around cars, I love the sounds, the smells and most of all, I love taking pictures of them. The occasional lump of rubber hitting me in the head is a small price to pay for getting this close to the action, a unique perspective that not many people will ever get to experience, even if they were crazy enough to actually ‘want’ to! The danger didn’t stop there, watch the video below for more of the live action, I love watching cars be thrown around as much as anyone else but when they are being thrown directly towards you, things get serious!